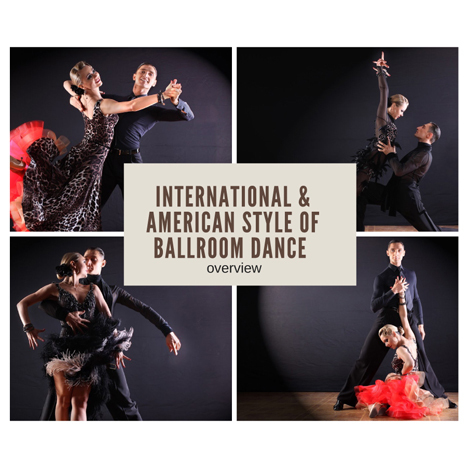 International and American Style of Ballroom Dances Overview. Ballroom dancing is enjoyed in both social and competitive environments all around the world. Since the beginning of the entertainment industry, ballroom dancing has been featured in many plays, films and television shows and is a set of dances performed by two people. Ballroom dances can be performed recreationally as well as competitively. Unlike recreational ballroom dancing, competitive ballroom dancing includes rules and different styles that are decided by the World Dance Council and the Word Dance Sport Federation. The four divisions of competitive ballroom dancing include: International Standard, American Smooth, International Latin, and American Rhythm. Well before the 19th century, ballroom dancing was a recreational activity that served as a social boundary between higher lower classes. It was performed by the rich, privileged and the aristocratic. While, folk dancing was performed by the commoners. Throughout the years, the boundaries between ballroom dancing and folk dancing have become blurred. Therefore, the American style has incorporated elements of folk dancing and other sorts of dancing into the ballroom dancing genre. International Standard and American Smooth are very similar. Both can be referred to as the “traveling dances,” since the couple travels counterclockwise around the floor. The International Latin and American Rhythm dances can be considered as “spot dances” since they take place in one part of the dance floor. The different divisions include many dances with the same names, which can be dance to various music speeds. But the same dance looks very different depending on the style in which it is performed. In the international style, dancers are in the closed position, pressed close together – this is classic ballroom dance, taught all over the world. The American style, however, allows dancers to open up – they can separate and use as much of the floor as they like – and is more theatrical. The American Smooth Style is typified by the couple dancing together as well as apart, but the couple is always in time with each other. American Smooth Style consists of four dances: the waltz, the tango, the foxtrot and the Viennese waltz. These four dances have been taken from the traditional European styles of ballroom and have been transformed. This evolution of these dances allow couples to separate and perform solo moves before re-joining with each other. Dancers have the freedom to be more creative and use more of the floor and this is what gives its distinction from the International style. American Smooth Style is best exemplified in the movies with Ginger Rogers and Fred Astaire, and is known as American Smooth ballroom dancing. American Smooth is an adaptation of traditional European styles of dancing. The other American style of ballroom dance is known as American Rhythm. American Rhythm is characterized by hip rotations that are performed throughout the dance. This hip movement is also known as the “Cuban motion.” American Rhythm consist of five different dances: cha-cha, rumba, swing, bolero and mambo. These dances originated from Cuba and Africa, with the exception of swing which was originated in America. The International standard of ballroom dancing is typified and is distinctly different from American ballroom dancing because it is promisingly traditional. So this style of dance should have you think of women in sweeping ball gowns, men in formal wear and sophisticated dancing. The International Ballroom Style usually consist of these dances: the waltz, the foxtrot, the quickstep and the tango. Although there are many variations of these dances, all of them are performed in a closed position. A closed position is when the man and female are always in contact throughout the dance. The dances in this style are centuries old and originated in the Royal Courts of Europe. The style is the most recognizable, elegant and the oldest. The other international style that is more modern than traditional is the International Latin style. International Latin is characterized by fast footwork and very often sensual dance movements. The International Latin Style mainly consist of the following dances: cha-cha, samba, rumba, paso doble and jive. Similar to the International Ballroom Style, this style also includes many variations. These dances often tell a story between a man and a woman and it is likely you will never get bored with them! 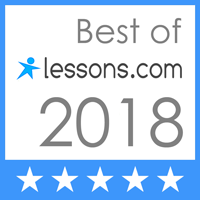 If you ever wanted to explore any of those dances, whether socially or competitively, and allow yourself to feel the magic of ballroom dancing on the dance floor, we are here to help. If you would like to learn any of the various types of Ballroom Dancing, recreational or competitive, contact Lake Shore Dance Academy and let your journey begin!